Our third Big Boulder Music & Arts Festival will take place on Sunday 7th September, 12-6pm in Heeley Park. Heeley Park is Sheffield’s largest community park, built and looked after by Heeley Development Trust since 1996 on behalf of the local community. The park does not receive any statutory funding, therefore ongoing grant funding and exploration into alternative incomes streams are required to maintain the space to its current standard. 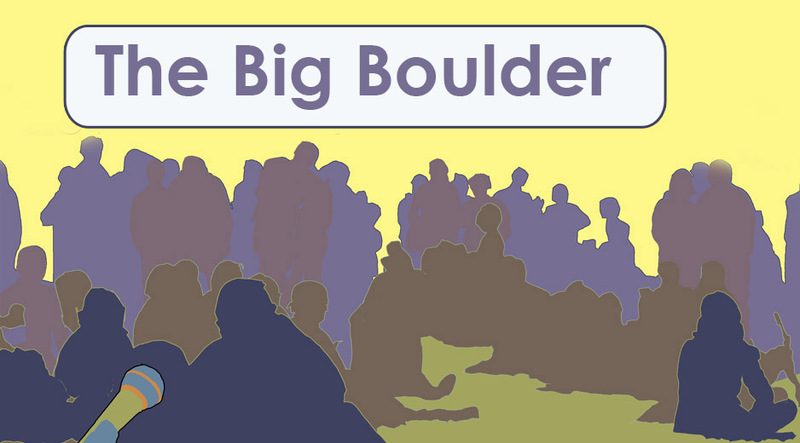 We are working hard to secure Big Boulder as a free annual event, with the aim of making music, culture and art accessible to local families and the wider community. Alongside a fantastic programme of live music, a number of hand-picked food stalls and a bar, we also offer free or low cost arts and crafts to local children and families. Since our first Big Boulder event in 2012, we have built and delivered a year round ‘Big Boulder Rolls On’ programme of live music. These ticketed events take place in The Institute and SUM Studios buildings, and have worked to build our profile and grow our audience, alongside fundraising for the park. This year, we would like to invite artists, crafters, creatives and makers to be involved in Big Boulder. We have space for activities, stalls and exhibitions, and a park full of interested people to reach out to and engage with. This is a great opportunity for new and small businesses, freelancers and community projects to meet customers, share skills, build their profile, expand their market and network. There are many ways for you to be involved. From selling your products through to running a participative workshop or showcasing your creations – anything is possible. We are excited to be expanding this aspect of the event, and open to all ideas and creative input. It’s an exciting time to join in! Interested? Or know someone who might be? If so, it would be great to hear from you. For a chat contact Bev Nunn bev.n@heeleydevtrust.com or call (0114) 250 0613.